Click to watch the new film, "Why Trust Women." In church pews across the United States and around the world, we look furtively around as yet another priest tells us, as he has countless times, how sorry he is for the appalling mess the Catholic hierarchy has gotten us into. Abuse scandals and related cover-ups are just the tip of a very large iceberg. Sadly, for many Catholics, that scandal is one of many as we have watched the dereliction of leadership and the sin of clericalism strike blow after blow to the battered body of the church. 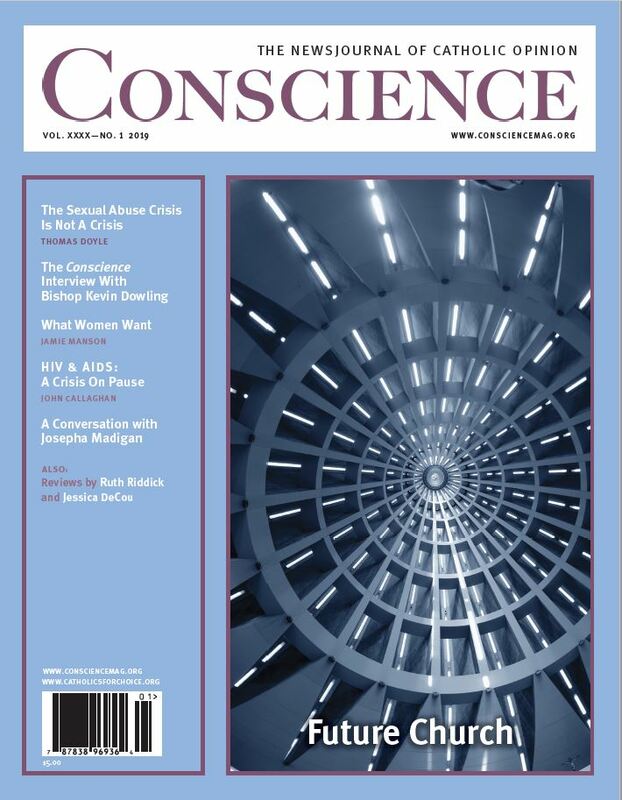 In this issue of Conscience, we look beyond this discouraging state of affairs to ask what a future church should look like. We begin to map out a route that will get us there, finding hope in the shantytowns of South Africa — where a real church leader shares his vision of a church built on service to the poor — and in interviews with strong role models for women’s leadership in the future church. What does it mean to trust women and value individual conscience? World-renowned experts agree: Catholics – and many people of faith – all over the world are prochoice, and always have been. Watch the film here. The religious right in America hitched its wagon to President Trump to impose their beliefs on others and limit the health care people can and cannot receive. It began with President Trump’s first stroke of the pen reinstating and callously expanding the global gag rule. This piece was originally published by Politico. The article “Bishop sees shift in youths,” Jan. 18, provides an important opportunity to remind readers that the bishops of New York do not speak for all the more than 7 million Catholics across the Empire State. Like Gov. Andrew Cuomo, those faithful, everyday Catholics understand the sacred duty of each individual to listen to their conscience and our duty to protect others’ right to do the same. The governor’s support of the Reproductive Health Act is an act for the common good, and he does so in good conscience. Catholics for Choice lifts up the voices of the millions of faithful Catholics around the globe. We know Catholics do not want their representatives blindly following the church hierarchy’s opinion on public policy in place of their own. As a statesman who is also Catholic, Cuomo faithfully follows his conscience in upholding the rights of New York’s women to follow their consciences regarding pregnancy and abortion. He is, after all, the governor of all of New York, not a marionette of the bishops. This article was originally published at the Albany Times-Union. Charles C. Camosy is wrong in throwing up a smokescreen to pretend that the abortion debate is a struggle over language. Pro-choice victories in Ireland, Chile and likely soon in Argentina clearly demonstrate that increasingly, on a global scale, people in Catholic-majority countries are taking a stand for the values, morals and ethics of defending a woman’s right to choose. Those who favor women’s rights are not running away from fundamental principles like conscience; they are embracing the reality that women’s rights are human rights. 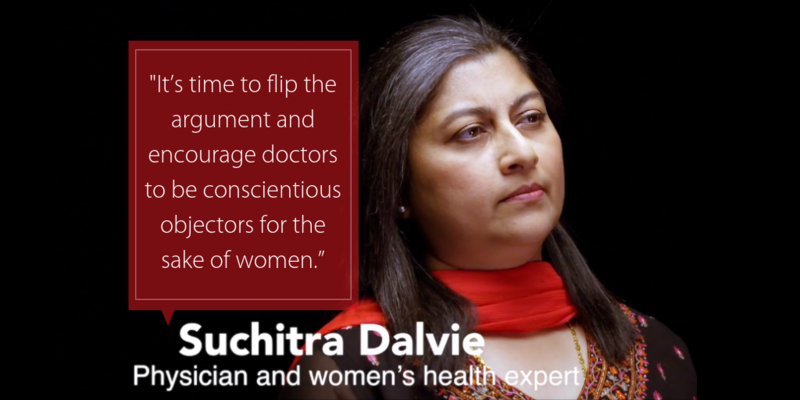 They understand the challenges to women’s health and well-being when we deny their right to make free choices over their bodies. This letter was originally published in the New York Times. This piece was originally published by the Christian Post. 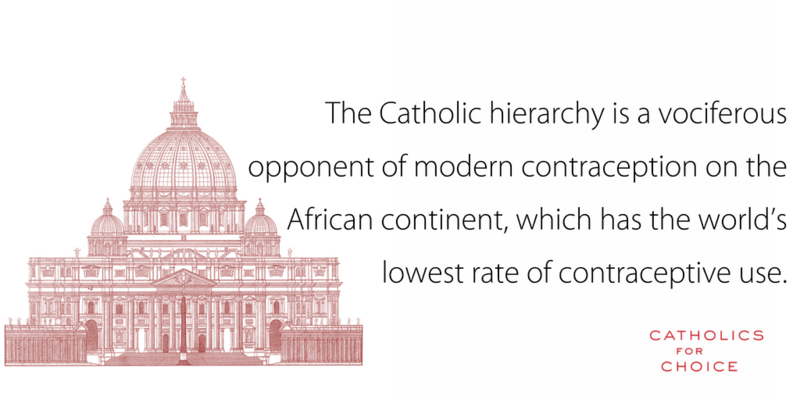 Washington, DC – Today Catholics for Choice launched a new report and global poll—in advance of the 50th anniversary of the Vatican’s ban on contraception on July 25—detailing half a century of hurt this policy has caused for millions of the world’s most vulnerable people. 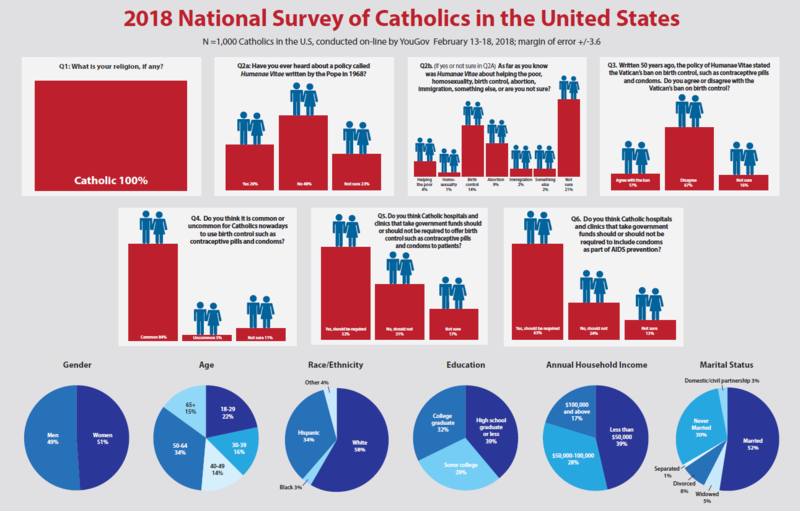 Belden Russonello Strategists commissioned a national survey of Catholics in the United States for Catholics for Choice in 2018. The polling data relates to the Vatican’s ban on birth control, Humanae Vitae, and it’s public perception. View the polling data here.